NSS has teamed with Cornell University on the Cislunar Explorers Team, competing in the NASA CubeQuest Challenge. The CubeQuest Challenge is an effort to stimulate the development of innovative propulsion, navigation, and communication solutions that will enable the use of cubesats for lunar and deep space exploration and development. The Challenge is composed of four Ground Tournaments, a Deep Space Derby, and a Lunar Derby. Cash prizes are awarded to the winners of these activities. 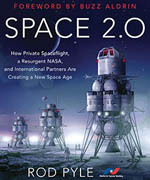 For more information see the NASA web page on the CubeQuest Challenge. Over a dozen teams have competed in various combinations in the 4 Ground Tournaments. In each of the Ground Tournaments, teams that placed in the top 5 were awarded cash prizes. Thanks to a significant amount of effort on the part of our colleagues at Cornell lead by Prof. Mason Peck and our lead engineering Ph.D. candidate Kyle Doyle, the Cislunar Explorers Team placed first overall in the CubeQuest Challenge, making our team the only one that placed in the top 3 spots in all 4 of the ground tournaments. This outstanding performance resulted in our team winning one of three launch slots on NASA’s Space Launch System (SLS) Exploration Mission (EM-1), currently scheduled for December of 2019. Yes, we will orbit the Moon! 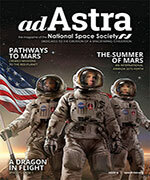 The open literature routinely talks about using liquid water as a propellant. The water would be electrolyzed and the resulting hydrogen would be used as fuel and the oxygen as oxidizer. This concept is all the more appealing, since it’s beginning to look like water (the greenest of all fuels) is quite common in our solar system. Still to date, electrolyzed liquid water has never been used as a propellant in space. The Cislunar Explorers Team is developing a spacecraft that will be the first to do just that. The goal has its challenges. First, it’s really cold in space, and the water has to be in liquid form for electrolysis to work. The Team has devised an elegant solution to this challenge by using the heat generated by the onboard electronics (while at the same time disposing of unwanted heat from the electronics) along with ambient sunlight to keep the water liquid. The water has the added benefit of being a great radiation shield for the electronics. Then the gas must be separated from the liquid water—not a problem on Earth with the help of its gravity, but this is an issue in the weightless environment of space. This separation is accomplished by rotating the spacecraft and using the resulting inertial forces to move the liquid away from the gas. Rotating the spacecraft also allows the sloshing liquid water to dampen out any wobbles in the spacecraft rotation, keeping it rotating in an orderly way about its primary axis (also the thrust axis). The Cislunar Explorers Team also intends to demonstrate a new, autonomous optical navigation capability that will use the apparent sizes and orientations of the Earth, the Moon, the Sun and their known positions to determine the position of the spacecraft. The purpose of all this effort is to demonstrate these two key technologies that will be used to place both Cislunar Explorers spacecraft in orbit around the Moon, helping enable the exploration and development of space in the process. With this in mind, the Cislunar Explorers Team will make all of our spacecraft designs, software, techniques, and lessons-learned available on the web, allowing anybody anywhere to copy and use the information for free. See cislunarexplorers.wordpress.com for more detailed information about the project. The Team plans to use a facility at Cornell University as mission control to communicate with the spacecraft at a UHF frequency of 437.5 MHz. This will allow communication coverage for less than about 12 hours per day. However, it is desirable to send and receive data from the spacecraft almost continuously, requiring at least one other communications station in another part of the world. We are particularly interested in enlisting help in Australia, India, or Southeast Asia. If you have connections that could help with this, please contact Dr. Dean Larson ([email protected]), the NSS Board member who is the Team liaison with NSS and who serves as an advisor to the team on system-level testing and software verification. The project has made good use of the funding won during the 4 NASA ground tournaments, but we still need money for completing spacecraft development and testing, developing mission software, and reducing project risk. If you’d like to help demonstrating these two key technologies that promise to open deep space to small, non-government players, please consider a donation. 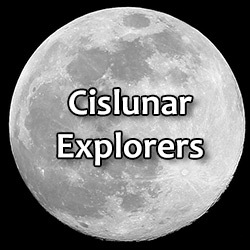 You can donate online; remember to enter “For the Cislunar Explorers Project” in the “Other information or questions” field. You can also send a check to the National Space Society, PO Box 98106, Washington, D.C., 20090, along with a short note specifying the donation for Cislunar Explorers, as well as writing “Cislunar Explorers” on the check itself. You don’t have to be an NSS member to donate. Note that if our team wins an in-space prize ($1.5 million shared award for the teams attaining lunar orbit), NSS will get a share of the prize equal to the donations that come through NSS. Your donation will literally get twice the bang for the buck!